John here. 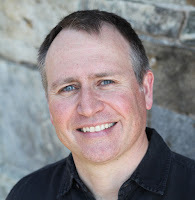 Our guest blogger this week is fellow Mainer, Paul Doiron, author of the Mike Bowditch series of crime novels set in the Maine woods. His first book, The Poacher’s Son, won the Barry Award and the Strand Critics Award for Best First Novel and was nominated for an Edgar Award, an Anthony Award, a Macavity Award, and a Thriller Award. PopMatters named it one of the best works of fiction of 2010. His second novel, Trespasser, was an American Booksellers Association Bestseller and won the Maine Literary Award. The eighth book in the series, Knife Creek, has just been published. His novels have been translated into eleven languages. Paul is Editor Emeritus of Down East: The Magazine of Maine, having served as Editor in Chief from 2005 to 2013. A native of Maine, he attended Yale University and he holds an MFA in creative writing from Emerson College. He is a Registered Maine Guide specializing in fly fishing and lives on a trout stream in coastal Maine. When people ask me what sort of research I do for my Mike Bowditch novels, I say there are three different kinds: reportage, first-person experience, and my own life. Reportage is the easiest to explain because it’s what we think about when we hear the word research. Do you want to know how an autopsy is performed on a person who has died from a gunshot wound to the head? You interview a medical examiner. Or you buy a medical textbook like Dr. Vincent J.M. DiMaio’s excellent, expensive, and graphically gory Gunshot Wounds: Practical Aspects of Firearms, Ballistics, and Forensic Techniques. Ideally, you do both of these things. First-person experience is reportage of a different kind. When I wanted to include a scene in my novel Widowmaker that takes place in a helicopter used by wildlife biologists to conduct an aerial survey of Maine’s moose population, I talked my way into riding along with scientists on one of their excursions. (I subsequently cut the scene, but used what I’d learned as backstory). I still thrill at the memory of watching enormous bull moose explode through snowbanks as the chopper swung in. I could have interviewed a wildlife biologist or a pilot to get a sense of the experience, but I had a chance to see, hear, and feel everything myself, so I grabbed it. When I say I use my own life as research I mean that my novels are outdoor mysteries set in the Maine woods and waters. As a professional Maine Guide, I have spent many hours in canoes, carrying rifles, and climbing remote mountains. I don’t need to look up the difference between a red spruce (which makes for passable, if fast-burning firewood) and white spruce (which emits a foul odor like cat urine when burned). I already possess that knowledge. But my life has been far more than one long lesson in bushcraft. Like everyone, I’ve worked different jobs, lived different places, known people very different from myself. So if I need Mike Bowditch to take a vacation, I am likely to choose southwestern Florida because I have visited the area many, many times. If I need to give a minor character a profession, I might make him a pharmacist because my father-in-law used to be one. Your life is stockpiled with this kind of good stuff. You might as well use what you already know. Aspiring authors are often told not to indulge in “notebook dumps,” which is writerly slang for trying to show off your research by larding your stories with exposition. It’s good advice. My counterargument is that research can be woven into stories unobtrusively if it leans more toward the experiential and away from straight reportage. The trick is to use sensory details — or interesting bits of trivia — to heighten the verisimilitude of the fiction. That said, never shoehorn something into a story that doesn’t want to be there. Everything in a novel must exist to serve the story. I cut a whole chapter set in a freezing helicopter full of biologists counting moose from the air. Was I sad to cut it? Yes. Am I glad that I did? You bet. Do I regret the hours I spent flying above the snow-capped treetops, scouting for a moose, a waste? Not on your life. Is the digital age killing the novel? Are you a “plus” or a “minus”? A Bookish Tradition with Cookies! Who's Awed by Virginia Woolf?